Android Wear has a new name: Wear OS. 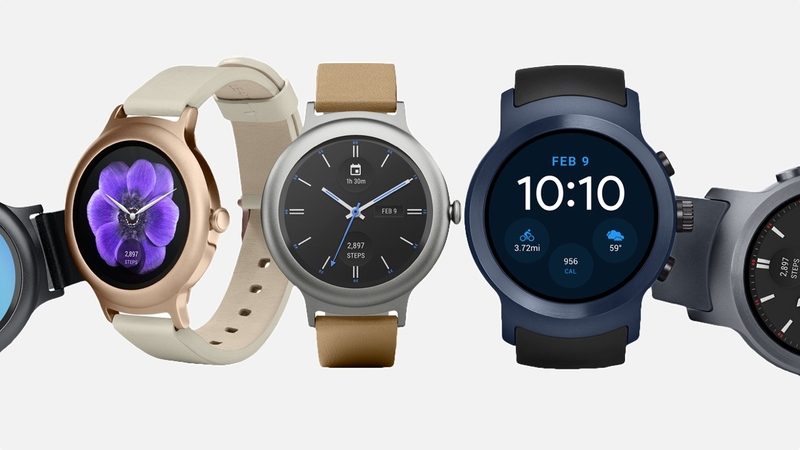 Google has rebranded its smartwatch OS, moving away from the Android moniker to account for the high number of iPhone users wrapping a Google-powered wearable around their wrist. But name aside, everything else is the same. Wear OS can be a complicated and frustrating beast at times, even if your smartwatch is running the latest software. That's why we've put together the ultimate Wear OS guide of guides to help you with everything from setting up your smartwatch to choosing the best apps, games and watch faces and getting music onto your device. If we've missed anything, let us know in the comments below. What is Wear OS? If this is your first smartwatch, or even first wearable, it's handy to first get to grips with how Wear OS smartwatches work and what each one does. The absolute basics are this: you need an Android smartphone with Bluetooth, or an iPhone, to use your smartwatch. And it helps if your phone, Gmail, calendar and maps are all under the same – or linked – Google accounts to get the most from the Wear OS experience. Our comprehensive guide to Wear OS goes into a lot more detail on the operating system, features, Google Now and apps. Read our essential guide to Wear OS. If you haven't actually bought an Wear OS device yet and you're undecided about which will be best for you, check out our round-up of the best Wear OS smartwatches. It summarises which features and functions appear (or don't appear) on all smartwatches on sale now. For instance, watches like the Polar M600 and the LG Watch Sport have GPS, and the Sony SmartWatch 3 doesn't support Wear OS 2.0. The Tag Heuer Connected Modular 45 is one of the best looking Wear watches but it's also the most expensive. We can help you find something that's affordable but also still looks the part. Once your Wear OS watch is out of the box, it's a pretty straightforward process to get it set up and connected to your phone. But it can be tricky for beginners to know which step to do first – when do you turn Bluetooth on? What should you do if it doesn't pair first time? Our guide to setting up and connecting Wear OS takes you through it step by step with tips on which settings to dive into first. One in three new Wear OS activations in 2017 were for iPhones, according to Google. That popularity among iOS users is one of the main reasons Google renamed its smartwatch OS. So you can certainly your Google and iPhone fix with our handy guide to setting up your Wear OS watch with iOS and making the most of the features on offer. Find out what you can and can't do with Wear OS paired to an iPhone, and check which devices an iPhone is compatible with. We also take you through the new iPhone app to smooth out any initial quibbles you might have. Remember, Wear OS 2.0 increased what you can do when pairing your watch to your iPhone too. One of the first things you will do once your smartwatch is paired is to swap out the watch face for one that suits you. Every Wear OS watch has a few pre-installed faces, which you can access by pressing and holding on the watch face screen then swiping though them. But things get more interesting when you head to Google Play to download free and paid-for watch faces from indie developers and designer names. From Gundam to weather to creating your own, the selection, which now includes interactive watch faces, has options to suit both round and square smartwatches. Read our pick of the best Wear OS watch faces you can download and check out our guide to both official and – if you want to look further afield – custom watch faces on your Wear OS smartwatch. If you're an avid user of apps on your Android phone, or you've played around with watchfaces, installing apps from Google Play should be a doddle. It's worth noting that any smartphone apps which are compatible with Wear OS will automatically work. For new downloads, check our step-by-step guide to finding, installing and launching Wear OS apps. With more than 5,000 apps and games available to use with Wear OS, there should be something for everyone. As ever, check out reviews and star ratings on Google Play for guidance, but a lot of these apps are free and so worth a punt to try them out on your wrist. To help you sift through the tat, be sure to check out the best Wear OS apps you can download. Feeling a bit shy about talking to your smartwatch? It's actually one of the most accurate voice control systems we've used yet on a gadget, so chances are Wear OS will pick up your dictation or request without you having to repeat yourself three times. So what can it do? Here are some conversation starters to get you going with voice commands on Wear OS. Controlling the music on your Android smartphone is one thing but did you know you can store your own music on Wear OS smartwatches? That means if you're out on a run, you can connect Bluetooth headphones to the watch and leave your phone at home. Read on for our guide to activating offline listening, syncing tracks and listening to music straight from your Wear OS smartwatch. Finally, if there's anything we missed – any niggles you can't work out or useful tricks to help keep an eye on battery or get back notifications – it will be in our guide to secret features and hidden options, some of which you might not notice in your first few weeks of wearing a Wear OS smartwatch. Read our Wear OS tips and tricks guide. The article needs to be updated. Changing watch faces is now done by swiping left or right on your current watch face.